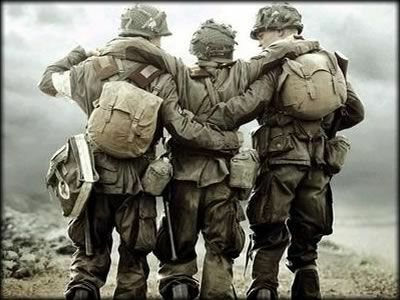 Discussion in 'Uniforms, Personal Gear (Kit) and Accessories' started by pkbuck, Jan 13, 2009.
can anyone help me with this helmet were they used predominantly with arty and air force units in WW2? Can't help you, but I gotta say, that is one awesome helmet. My Grandfathers Uncle: Stanley Halldin, 981st Field Artillery Battalion. I know it's not the samething but, it greatly resembles the 1st pattern D.A.K. pith helmet. Sorry I can't be of any better usage for ya. Lost are only those, who abandon themselves) Hans-Ulrich Rudel. For the first time I have seen "History" at close quarters,and I know that its actual process is very different from what is presented to Posterity. - WWI General Max Hoffman. Great pics! 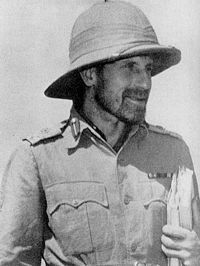 Also, Orde Wingate is my favorite British General from that War. It's a shame that he died in an accident. :-( What a waste his death was. Thanks . The Wolseley helmet always reminds me of Major General Orde Wingate. He wears it in alot of the photos I have seen of him. Different type of Pith Helmet. Van Pelt's helmet has a taller crown and a different shape and style. great work men, you know your stuff i thought it was post WW1, the poms must have been using them in tropical theatres before the changed to steel maybe. The 321 could mean March 1921. I have one just like it except the band has more info stamped on it. It does have a similar stamp inside the band as the one here but additionally it has "R.Z Bloomfield Ltd London". Also on the band it has "Veros Detachable & Self-Conforming Head Band. Royal Letters Patent No 228467"
Unfortunately mine has been kind of white washed but I suspect it is Khaki under that. The Wolseley helmet was first seen in the Sudan Campaign 1896-1898 and was used mainly by Staff and General Officers. It was slightly smaller in those early days probably because of the particular hat block being used for the initial small quantities. Kitchener's use of this helmet went a long way to making it so popular early on. Officers, Staff and Line, used it in the 2nd Anglo-Boer War, 1899-1902, but Line officers soon reverted to the Colonial pattern style (Zulu war type) because of the accuracy of the Boer snipers. It was first mentioned in the Army Dress Regulations of 1900 and the pattern was "sealed" in 1899. 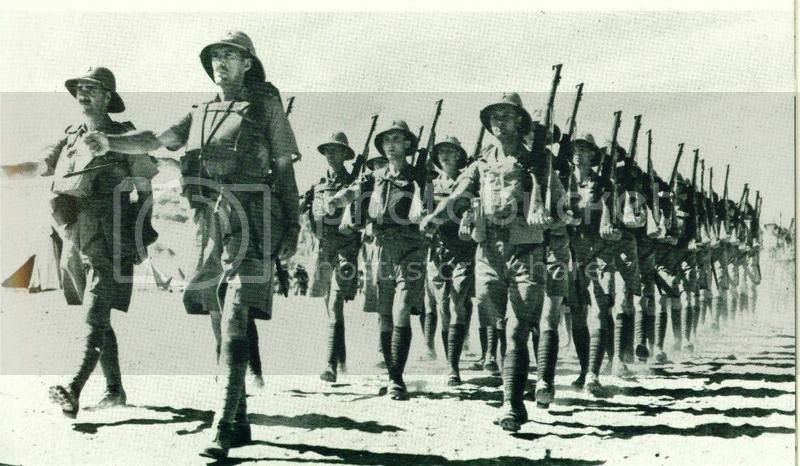 It was, however, mandated for the West African and Chinese regiments only and then only for officers. It is not known how it became known as the Wolseley as it was variously called the "Kitchener" or "Egyptian" as late as 1925. Wolseley was, however, the Commander in Chief in 1900 and was interested in such items of uniform. It was mandated for all officers serving abroad in 1904 and was issued to ORs from about 1905 but because of the British Army's predeliction for saving money the older style sun helmets had to be worn out before the new style was actually issued. This was complete by about 1910. The Wolseley was in use throughout the Empire until production ceased in 1942, although the last recorded use was in Khartoum 1949 by the 15th/19th Hussars. I forgot to say that Paul's example is made of felt. The 4 tabs which are bent over to secure the ventilator cap to the crown are a dead giveaway. I notice that it also has a detachable headband. This was patented by E.W. Vero in 1925. Hi, I have a pith that is almost identical to this example, with all the same features, except mine still has a silver foil lining inside the dome. The thread starter has a serial number of 321 and mine is 267, but otherwise the markings appear to be the same. Aluminium foil was the result of a patent taken out in 1933 and came in two forms - the one glued directly to the shell and the second a "sandwich" of foil free floating between the headband and the helmet crown. The second form was almost always used with the first but after being officially adopted in 1941 was discontinued in 1942. Wartime shortages I guess. Thanks Stew and there goes my pre war theory . Hi, I've posted this on a forum that I have been a member for a while and it has been suggested that the O above the arrowmark is a year code, for 1941-42, though they appear to run backwards and also there are some years with more than one letter. So 1943 is N and 1944 is M, but I'm only got this from others and to me, it is not logical. Though it does agree with Stuarts dating of the foil to 1941-42, so maybe some of it is correct. It is my understanding that originally the War Department broad arrow was accompanied by the year of acceptance in clear text. At some later stage it was changed to reflect the depot to which items were sent for issue to the regiments served by that depot. However, I have no information on how to interpret the newer markings.